Sons & Daughters of Guam Club, Inc. – A Home Away from Home. Here are the events for the month of April. Click on image to see tentative schedule for the rest of the year as well. 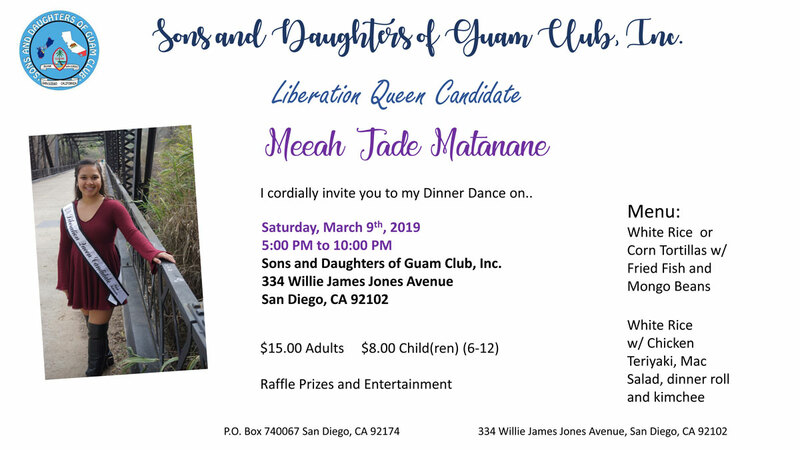 Come out to support the Liberation Queen Candidates. Si yu’os ma’ase! 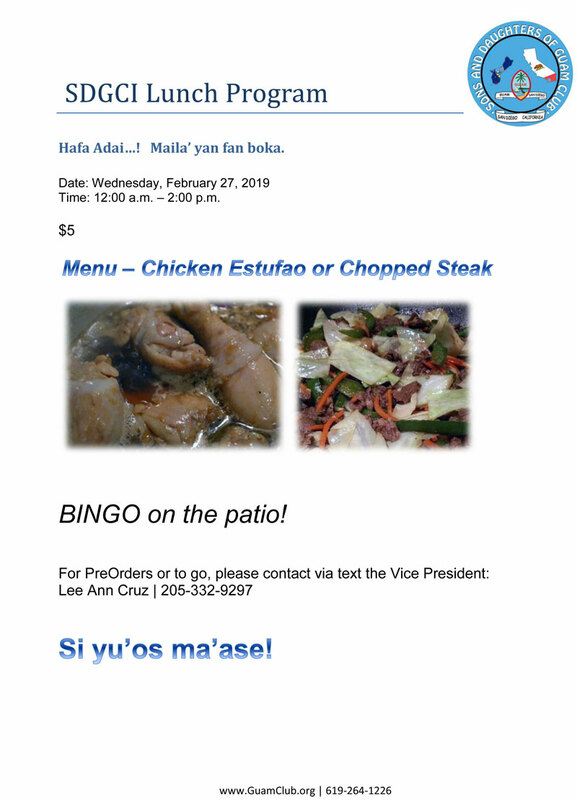 Hafa adai…! Maila’ fan yan boka. See flyer for more details. Si yu’os ma’ase! Meeah Jade Matanane cordially invites you to her upcoming Dinner Dances. See Flyer for details. Si yu’os ma’ase! 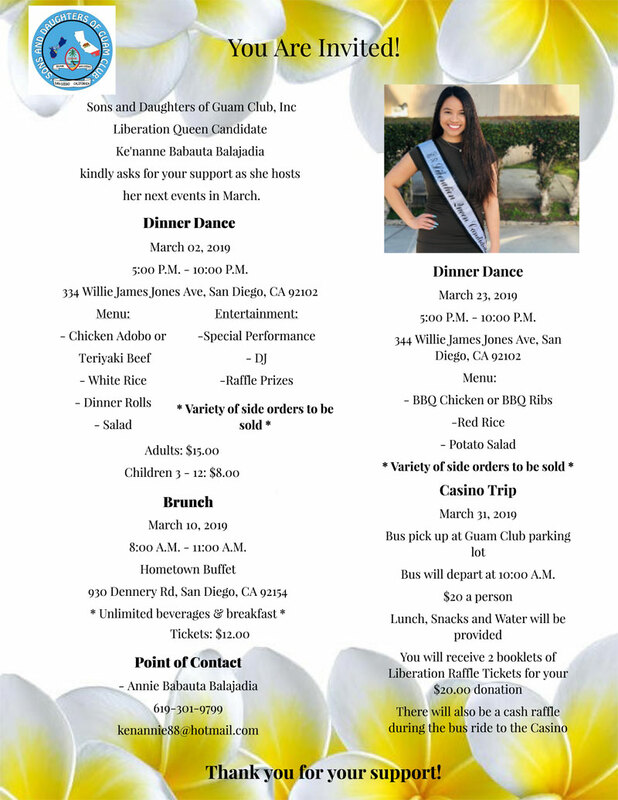 Ke’nanne Babauta Balajadia kindly asks for your support as she hosts her next events in March. See flyer for details. Si yu’os ma’ase!